Bringing together all your security and access needs requires a solution as comprehensive as the care you provide. Today's digital technology gives you the tools you expect from an enterprise class access control system, and the scalable flexibility you need. Because your facility is too important and complex for one-size-fits-all solutions. 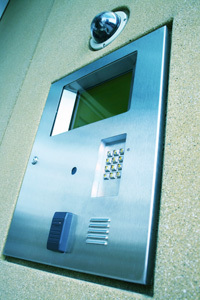 Providing access and security, Functional Systems card access systems integrates with all CCTV systems, multiple DVR/NVRs and supports your existing IT network. Fully integrated - alarm events trigger actions, including targeted lockdowns, across all your technologies - controlled from one easy-to-use multilingual interface. Functional Systems total systems approach delivers unrivaled features and no-delay high-speed processing all designed to meet new and future FIPS201 and TWIC requirements. Easy-to-administer Software with EZ PIV-Badge Enrollment Utility with data-error check for FIPS, TWIC and CAC formats. Also featuring: Enhanced threat level management with global lock-down, dynamic maps, multiple anti-passback areas, web client remote access, NVR/DVR integration, etc.